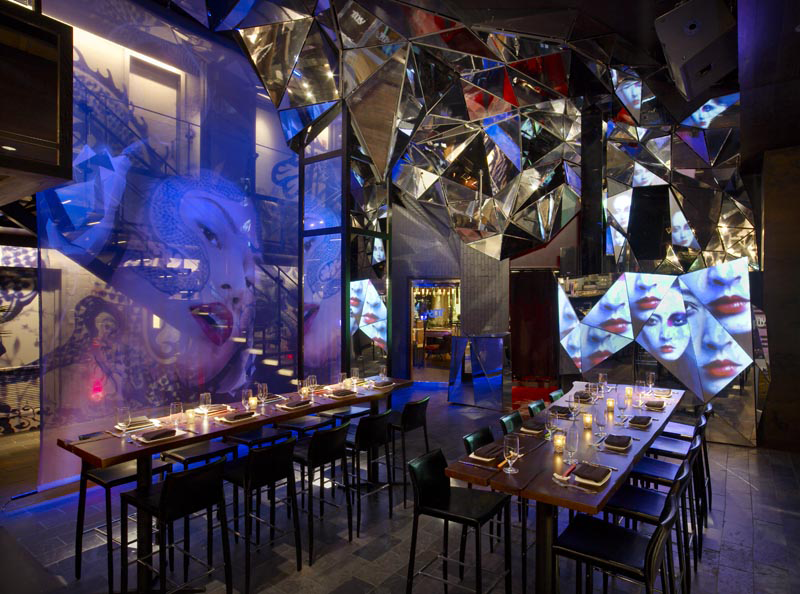 For TOY, the trendy night club at the Gansevoort hotel located in the meatpacking district, we created a permanent video mapped projection onto the 3D architecture. 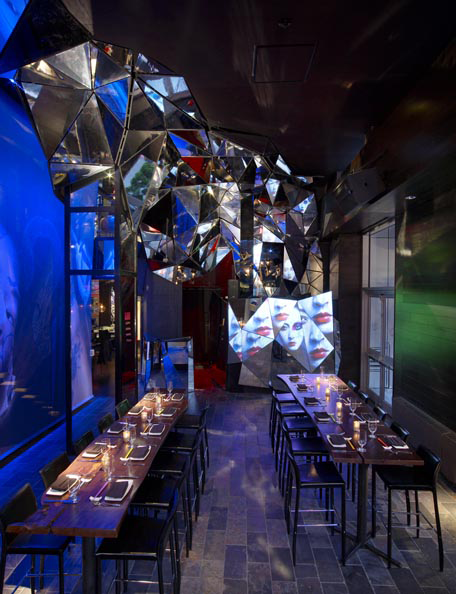 The video projection is mapped to the select individual triangles, with the capability of one unified image, as well as the option for seperate images within each triangle, for a "fractal" look. Custom 3D video content was produced, which automatically maps to the architecture. The system also has the capability for a VJ to plug in and control visuals live during events. The projection system is very simple to use. It's set up so that anyone can turn it on with the push of a button, and custom mapped content plays automatically. 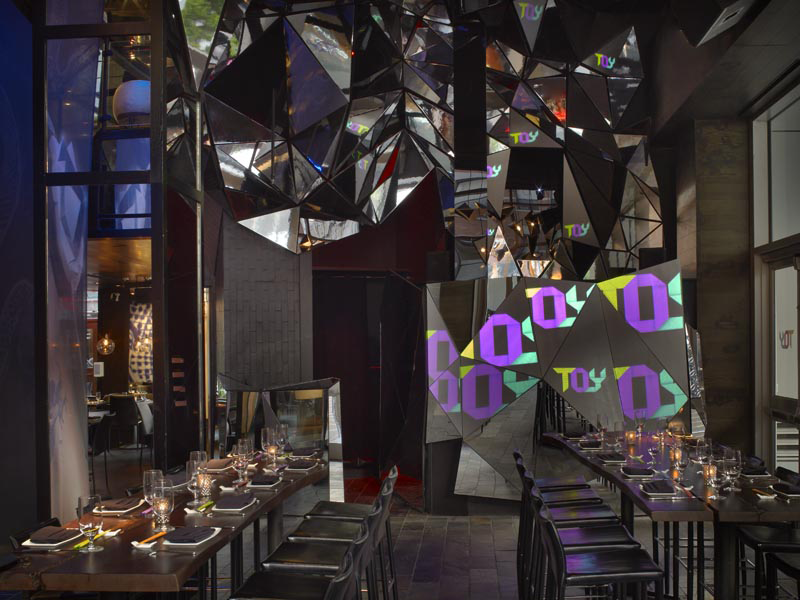 For the Meatpacking District's hippest night club, TOY, we created a permanent video mapped installation to complement their geo-fractal DJ booth. 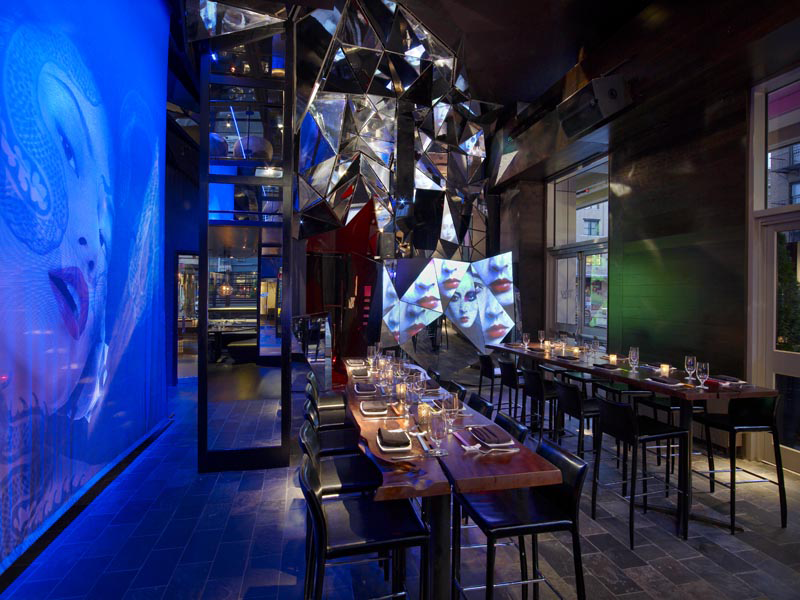 Video projections were custom mapped to the architecture, and branded visual content was produced for automatic playback. The system is also capable of live video playback by a VJ.